Set for a 2019 release, the former Beatle said his book about a magical grandfather is written ‘for grandparents everywhere’. 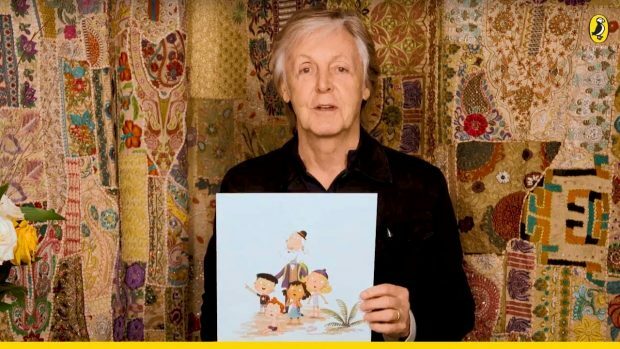 Following in the footsteps of fellow children’s book luminaries Bob Dylan, Keith Richards and Madonna, Paul McCartney is to write his own picture book. Hey Grandude follows an elderly, magical gentleman called Grandude and his adventures with his four grandchildren. McCartney has previously put his name to children’s books before: he teamed up with author Philip Ardagh and illustrator Geoff Dunbar in 2005 to produce the ecological picture book High in the Clouds, which followed a squirrel called Wirral and his attempts to win back his woodlands from developers. Hey Grandude will be published in September 2019.